A very sophisticated menu board . The yellow headers are matched perfectly with the black background to give the menu board a unique appeal. The exclusive menu with the three course meal and graphics will certainly entice the target audience. 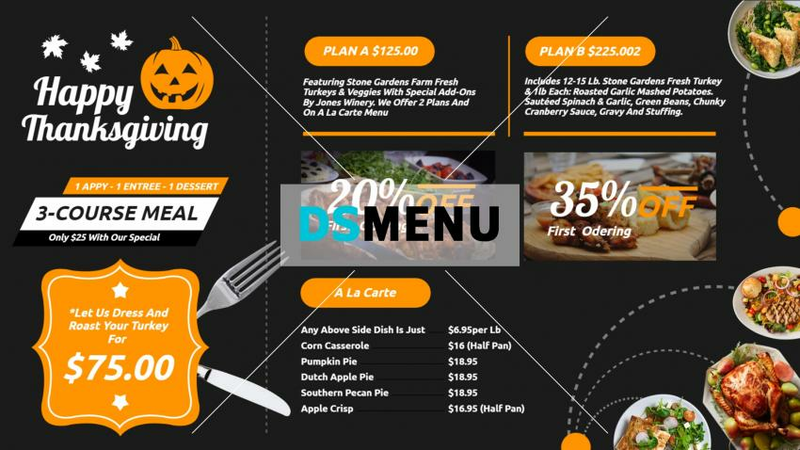 On a digital signage menu board the outstanding colors and content will certainly bring in the crowds.